Erik Buck. 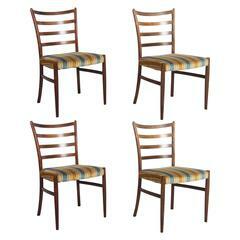 Four chairs with rosewood frame, seats and top rails upholstered in wool. Produced by Oddense Maskinsnedkeri A/S, model OD 49. Perfect original condition but a new upholstery is on request possible. Measures: H. 79 SH. 45 cm. 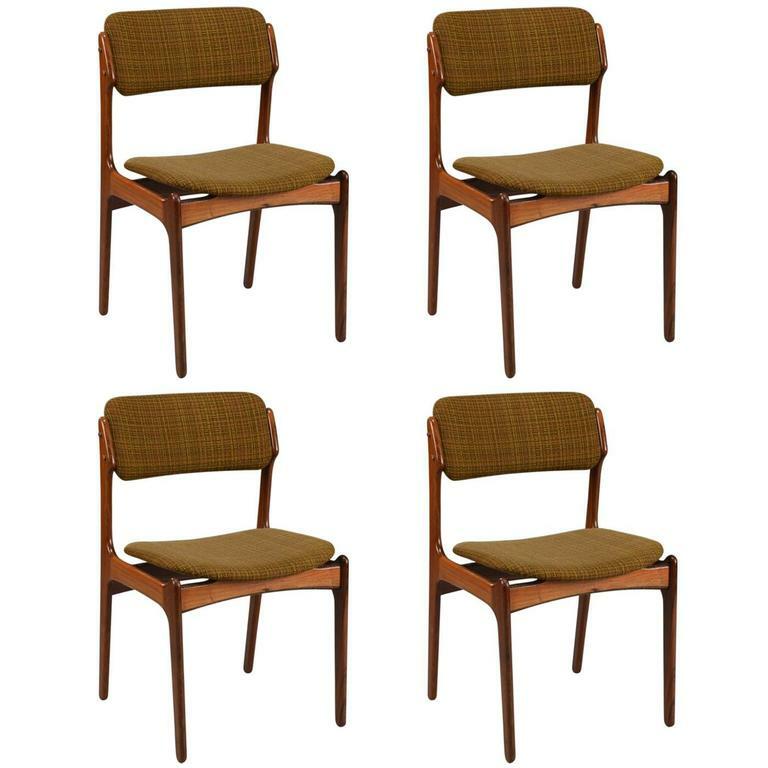 Set of six Danish dining chairs in rosewood veneer from the late 1970s, by Erik Buck model 49. Padded seat and back. Price &quot;as is&quot; restoration on request. 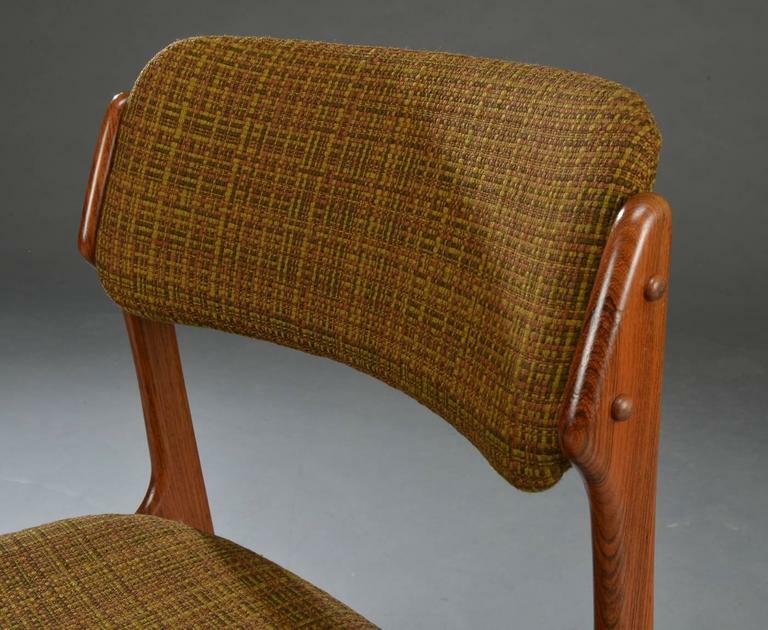 Rosewood frame upholstered made in the 1960s in Sweden. 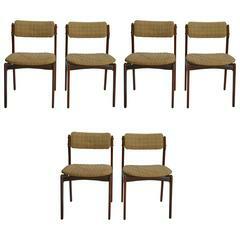 Mid Century Set of six teak dining chairs by Erik Buck. 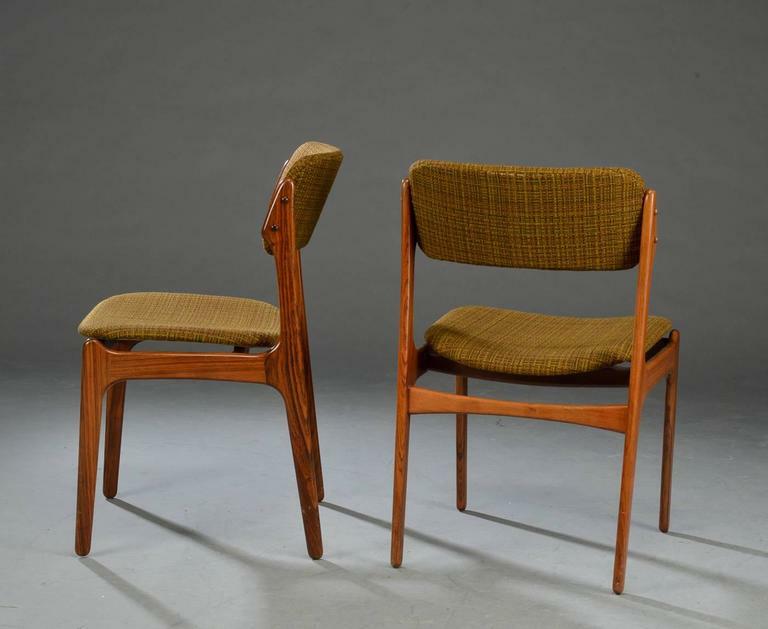 Mid Century Erik Buck dining rosewood chairs, 1960s. 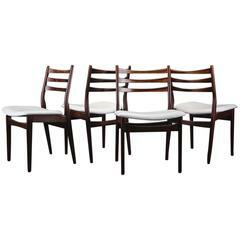 A set of four Brazilian rosewood framed Danish dining chairs reupholstered in a soft black leatherette in the manner of Erik Buck. 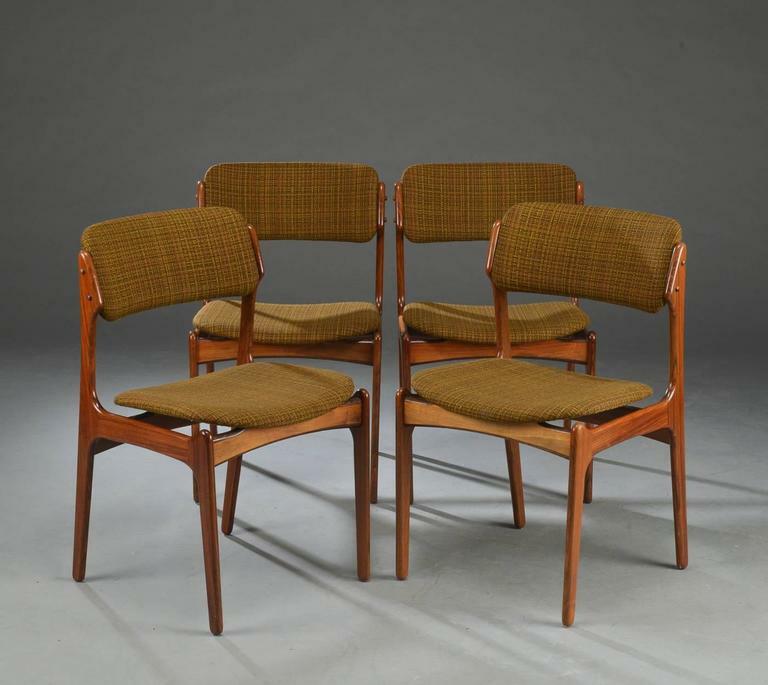 A set of four Danish midcentury rosewood armchairs designed by Erik Kirkegaard, circa 1955. 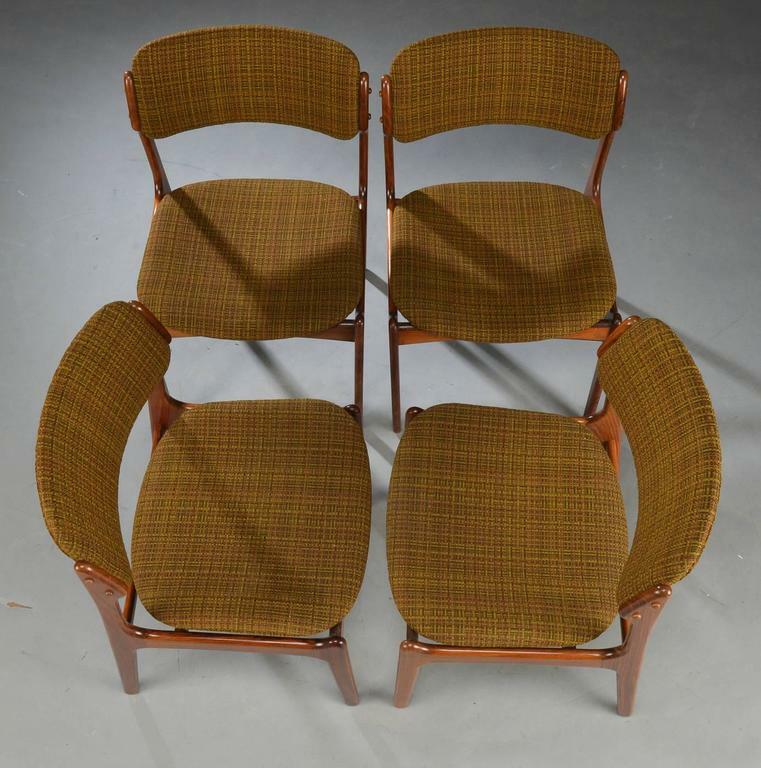 An interesting design in a set that could be used as side or dining chairs.